The blue fabric was some that I picked up from a lovely young family from Church who moved away to prepare for missions work overseas. 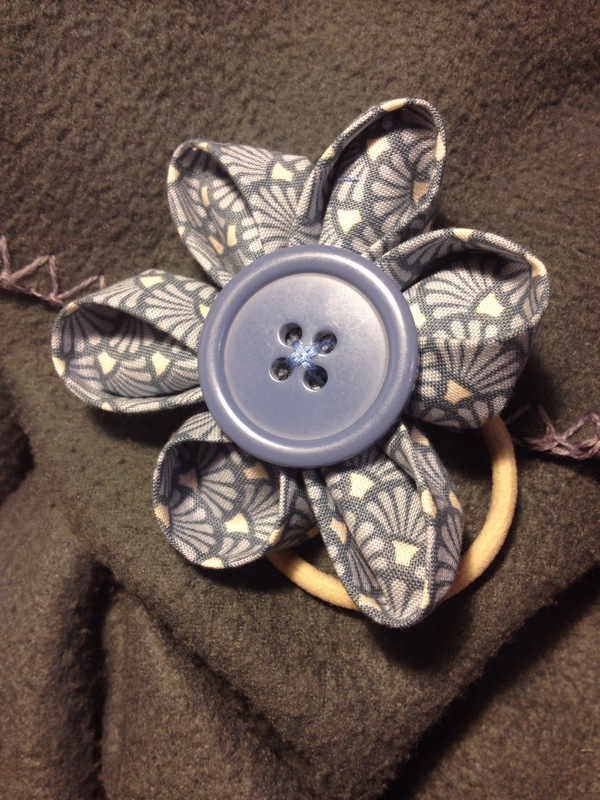 It goes well with a big button from an old jacket, in my button box. 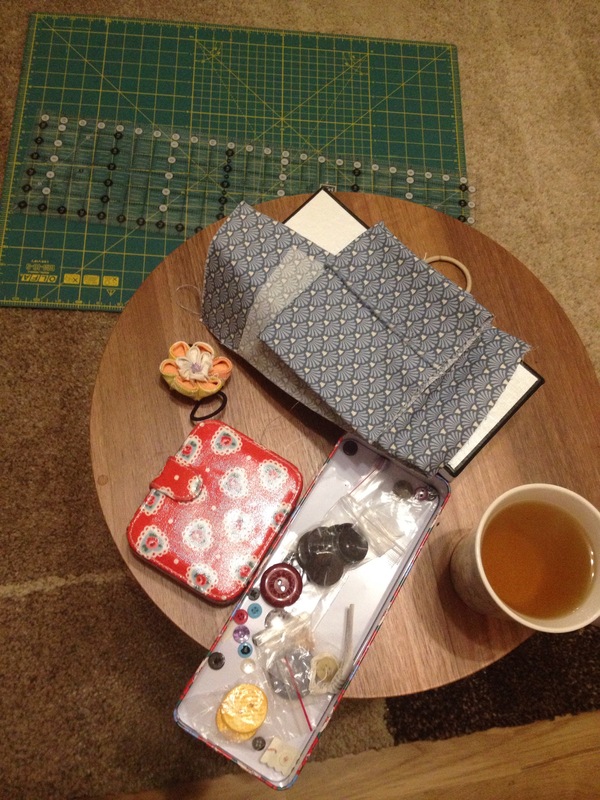 Here’s what my collection of items looked like when I started out tonight: You may notice on the table a completed hairband. This is one I picked up on a long lost trip to Japan a few weeks ago. I bought it in a lovely little shop in Sapporo Station, before I ventured out up into the cold for the amazing Yuki Matsuri (Snow festival). Tell you what, the weather here in the UK this week is giving Hokkaido a run for its money! During my trip to Japan, it was great to see many familiar faces, food stuffs and fashions. But I also found other things which, though were there before, were new to me. Such as white sesame tantan men (a kind of white sesame ramen – delicious) and these flower hairbands. Which I later learnt are called ‘kanzashi’ flowers – and typically adorn ladies’ hair when they wear kimono. Thanks to these two blogs, I made my own one tonight. I look forward to wearing it!